Ask Carolyn: How Can I Help with My Grandchild's Day Care Tuition? 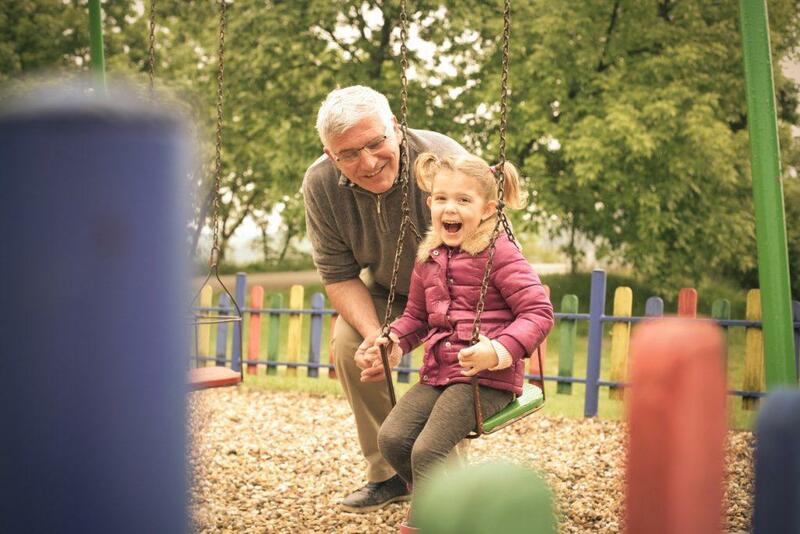 Grandfather and granddaughter playing on playground. You have asked a very important financial question, particularly given that your daughter owns a business with her husband. There are two possibilities that should be evaluated: (1) Should the business have a Dependent Care Flexible Spending Account? Or (2) Should your daughter simply use Form 2441 for the tax credit for day care? The CPA for the business should carefully evaluate the option that leaves the most dollars in the hands of your extended family, rather than the hands of the government. Unfortunately, under the scenario you are describing, the tax benefits are not likely available to you, so the money should be given to your daughter directly, and she should pay the day care. This gift will be subject to the gift tax rules, which allow you to make an annual gift of $14,000 in 2014 and 2015 without consideration of other gift tax rules. Option One for Tax Savings is the Dependent Care Flexible Spending Account, which your daughter would have to create within her business. With the Dependent Care Flexible Spending Account created by your daughter’s business, your daughter can contribute $5000 (which is the limit for married filing jointly) to a Dependent Care Flexible Spending Account (FSA) of pre-tax income from her paycheck from the business. As an example of the savings, if your daughter is in the 28 percent federal bracket for income taxes, her family saves $2050 in taxes, when you add up federal, state, FICA, and Medicare taxes. A noncustodial parent may not treat the child as a “qualifying child” even if the noncustodial parent receives the dependency exemption. For more information, you might read IRS Publication 503, Child and Dependent Care Expenses. Send them to Ask Carolyn! Submit questions through the Ask Carolyn website, direct message Carolyn on social media (Twitter & Facebook), email askcarolyn@rhinotimes.com, or mail your questions to P.O. Box 9023, Greensboro, NC 27427. Please do not put identifying information in your questions. This blog revised from a previous column published in the Rhino Times.